People are waking up to the importance of sleep, but the science is a box that still holds many mysteries. Sleep medicine is, relatively speaking, the new kid on the block; it wasn't until halfway through the 20th Century that this field of research really started picking up. Now there's no end of fitness trackers and smartwatches that track sleep, but all to varying degrees of accuracy, depth and helpfulness. Fitbit has long been one of them, with accurate tracking but lacking insights. With the launch of the Fitbit Alta HR it's doubling down on following our Zzzs turning the findings into something we can use to get better rest. 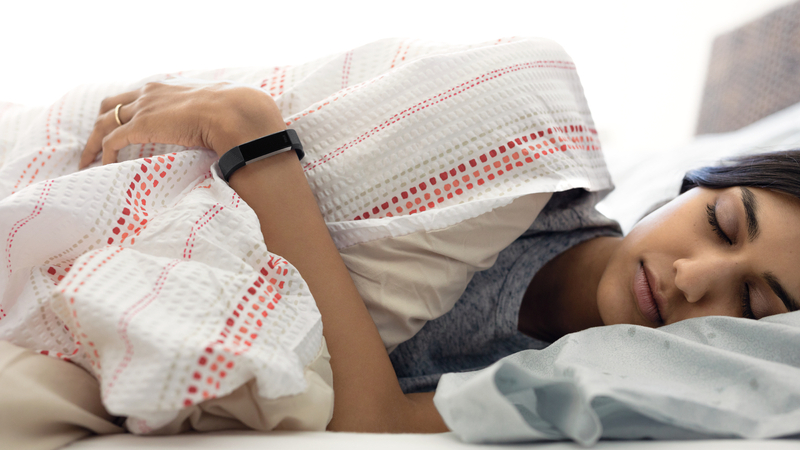 Last year the Centers for Disease Control and Prevention published findings that a third of Americans weren't getting enough sleep, which is where Fitbit says the idea for better sleep tracking came from. "When we saw that as a team internally we also looked at our user data to see what our data was showing us, and we saw on average receiving about 6.9 hours a night, which is a little bit less than the recommended seven to nine," Christina Kothari, senior product marketing manager at Fitbit, told us. Fitbit has over 3 billion nights of sleep logged on its devices - that's about 25 million years worth - a treasure trove of insights at its fingertips. Now it wants everyone else to start taking it more seriously. "We really want people to start thinking about their sleep goals just like they think about those 10,000 steps a day," said Kothari. "When we look at the impact that sleep has on your health, there's a lot of similarities to the impact a lack of activity has on your health." With the new software, which will be rolled out to other heart-rate enabled Fitbit devices beyond the Alta HR, Fitbit's doing two things. First, it's introducing a feature called Sleep Stages which will present an overview of how your body moved through different stages of sleep. This is done by combining the accelerometer with heart rate data; in the lighter stages of sleep, for example, the heart rate tends to slow, while in REM it becomes more variable and we stop moving. "We tested this with hundreds of subjects internally against ground truth PSG, which is what's used in sleep labs to estimate sleep stages, and we found the data is highly reliable," Kothari told us. She also said that Fitbit chose to present this data in the app in a way that could be more helpful for sleep doctors to interpret. "There is a more consumer friendly way to display it, but you'll see we display it how experts would, so they can read it more easily". But the real test will be in Insights, Fitbit's second new toy. This will throw up suggestions on improving the quality of your sleep, some of which will be based on your personal data. "As the device starts learning more about you and seeing your typical exercise patterns, it'll start bringing up richer insights that are based on your activity," said Kothari. That's going to be where the quality of Fitbit's new sleep tracking is going to need to prove itself. There are plenty of devices out there already telling us how many hours sleep we get a night, but how do you make this better if you're struggling to get the amount your body needs? Same goes for sleep stages, as it's all well and good seeing how much deep sleep we got a night, but if it's not enough, what do we do about it? That's what Fitbit needs to tell us. We do know you'll be able to see how your sleep compares to other people in your age/gender demographic, seeing what's normal and what's not. And while we've seen dedicated products like the Resmed S+ and Beddit 3 do this quite well, Fitbit is taking advantage of the fact it's on your wrist to intertwine your fitness and sleep data. Say a drop in exercise has correlated with a poor few nights of sleep, the idea is that the app will pick this out and tell you to pick up the jogging again. There's potential to bring food tracking into the equation too, although it feels like Fitbit still has a way to go in this department. As I discovered in my Sleep Tracking Diary, we all sleep differently. Research shows that we should all get somewhere between seven and nine hours a night, but people vary within this bracket. "The eight hour number gets thrown a lot, in terms of people must get eight hours of sleep, when we know it's an average across people," said Dr. Allison Siebern, consulting assistant professor at Stanford University School of Medicine. "So there are people who need less and some who need more to feel refreshed the next day." Fitbit uses a mix of internal and external sleep experts when it works on devices and software, and Dr Siebern has been working with the company as an external advisor for almost two years. What's perhaps most fascinating about this, as Dr Siebern pointed out, is that Fitbit is going to find itself with a lot of information that could have a meaningful contribution to the field of sleep science. "Now we're asking questions nobody's been able to ask in the past," said Dr Siebern. "When we do research we're collecting data maybe a night or two in a sleep lab, or one or two weeks worth of sleep data, but now there's this huge data set." Again, there are still many question marks around sleep. "We understand the reasons for sleep stages, but it's evolving that there may be more reasons we discover down the line," said Dr Siebern. "At one point we thought only dreaming occurs in REM sleep, but now we're learning it can occur in other stages as well." It will be interesting to see not only if Fitbit's sleep insights can help us make meaningful changes for better rest, but if the data can in turn inform a better understanding of our sleep.